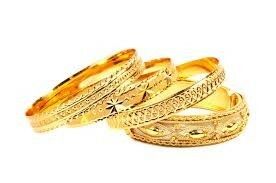 Gold gets its name from the Germanic the world gulba meaning gold. It is part of the 11th family also known as the transition metals. It is in period 6. Gold's chemical symbol is Au. Its atomic number is 79 and its atomic mass 196.966. It has 79 protons and electrons with 118 neutrons. It has 11 valence electrons and 1 known isotope. 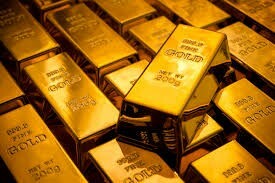 Gold has a melting point of 1948 degrees F or 1064 degrees C. It has a boiling point of 5378 degrees F of. 2970 degrees C. It has a density of 19.3 g/cm to the 3rd power. Its abundance in Earth's crust is 0.0031 and when found its standard state is a solid. Gold is found in the rock of Earth's crust around the world. When found it is found pure and can be used in things such as jewelry, medical processes and industrial processes. Gold is much softer when compared to other elements. It can be smashed flat and so thin that sunlight can shine through it. Very few chemicals can attack and hurt gold. This results in gold's shine even when it has been buried for hundreds of years. Even though its softer than other metals it is one of the heaviest metals on Earth.